Last week Russia-backed militants were conducting precision fire from the weapons mounted on infantry fighting vehicles, grenade launchers, heavy machine guns and small arms. They were also firing upon the positions of Ukraine’s Joint Forces near Avdiivka, Pisky, Lomakyne and Luhanske from 82-mm mortars. Ukrainian troops’ strongholds also came under hostile fire from 120-mm mortars. On November 2 another provocation was recorded in the area designated for disengagement of the parties in Stanytsia Luhanska. Russian proxies conducted precision fire upon the Ukrainian troops’ positions from grenade launchers, heavy machine guns and small arms thus derailing yet another time the actual implementation of the decision by the Trilateral Contact Group to have the forces and weapons disengaged by redeploying them to the pre-defined distance. 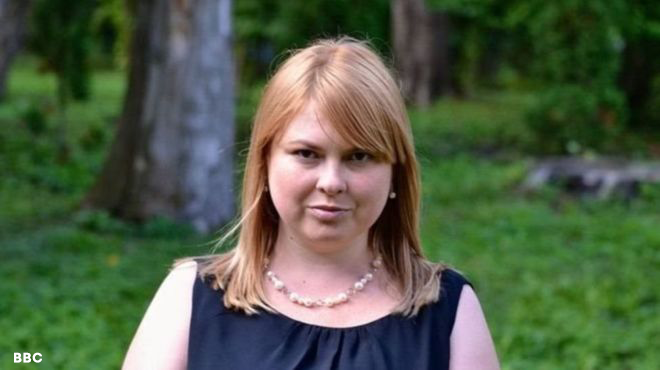 Advisor to the Kherson city mayor Kateryna Handziuk, who had acid thrown on her outside her house on July 31, died on November 4. Kateryna Handziuk was struggling to recover for over three months, she had sustained a 35 per cent body burn, underwent 11 surgeries in 50 days that sought to remove necrotic tissue and replace the damaged skin. As per the preliminary information, the death was caused by a blood clot that broke off. Who was Handziuk?Kateryna Handziuk became a political activist when she was 18. She was an active participant of the Orange Revolution, soon after she campaigned and was elected to the Kherson regional council. In 2012 while already a volunteer for UNDP she co-founded the Agency for citizen journalism MOST. The media was nearly the only one in Kherson to cover how the public budget was being spent and was monitoring public procurement. Handziuk used to be a Euromaidan activist in Kherson, after the war started she actively engaged in organizing assistance to the internally displaced. At the same time she was working as an advisor at the United Nations High Commissioner for Refugees in Kherson region. Throughout these years Kateryna was countering the pro-Russian forces in the region, in 2017 she also started a fight against the corrupt law enforcement. Handziuk accused the Head of the National Police department for economy protection in Kherson region Artem Antoshchuk in corruption and extortion, that actually resulted in his resignation. 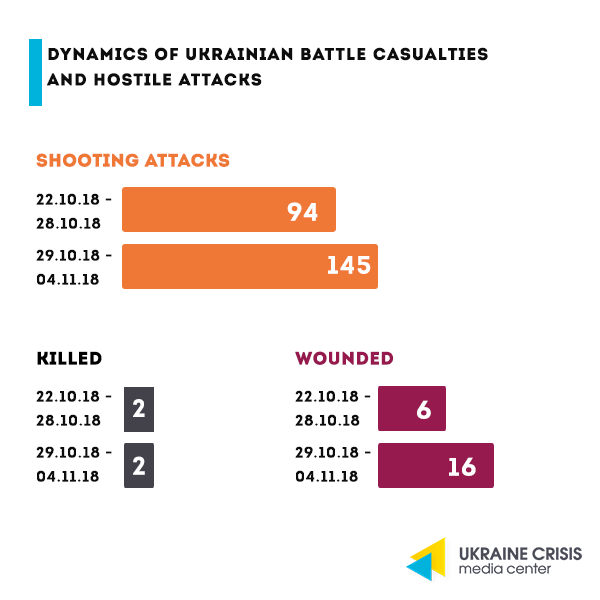 The course of the investigation and why it raises doubts.Right after the attack on Kateryna activists and politicians were claiming that the case must be led by Ukraine’s Security Service. Nevertheless it was taken over by local police. The latter almost immediately claimed to have detained the perpetrator. The civil society quickly learnt that the arrested Mykola Novikov had an alibi and was elsewhere on the day of the attack. Handziuk herself said that Novikov is not the one to have attacked her. “The attack on the civil society activist caused indignation in the country,” wrote MP Ihor Lutsenko of “Batkivshyna” party. “Several rallies were held and an online campaign was launched on the Internet. Facing the strong reaction of the society as well as the official ‘concerns’ expressed by the US Embassy, the authorities started imitating action. At first one suspect was detained and presented as the attacker. But it turned out it was not him – Handziuk did not recognize him. Subsequently other ones were arrested, with more convincing evidence against them presented. It is quite possible that they actually committed the crime. But until now it is not clear who the mastermind of the crime is and what their motives are. Activists are constantly emphasizing it,” MP Lutsenko proceeds. Later under considerable pressure on the part of the civil society police arrested Viktor Horbunov suspected of purchasing the acid. Then followed the arrest of the alleged accomplices – Volodymyr Vasianovych, Serhiy Torbyn, Vyacheslav Vyshnevskyi and Mykyta Hrabchuk. On August 22 National Police Head Serhiy Knyazev commenting on the case said that six suspects in the attack on Handziuk were detained. All of them are veterans of the war in eastern Ukraine. Torbin is charged with organizing the crime, information on the crime’s mastermind is classified. Four suspects are currently in a pre-trial detention facility, Vyshnevskyi is under a 24/7 house arrest. The mastermind of the crime has not been announced yet. Reaction of President Poroshenko and of the law enforcement.President Poroshenko demanded that the law enforcement identifies those liable for the activist’s death. Police re-qualified the Handziuk case into a “premeditated murder committed by a group of persons by order and with extraordinary violence.” First Deputy Head of the National Police Vyacheslav Abroskin stated that the mastermind of the crime will definitely be identified. Reaction of the EU.Johannes Hahn, EU Commissioner for European Neighbourhood and Enlargement Negotiations emphasized that the perpetrators to have attacked Kateryna Handziuk must be prosecuted. Reaction of the civil society. Rallies entitled “She was killed” were held in Kyiv, Lviv, Kharkiv, Odesa, Khmelnytskyi, Zhytomyr and other Ukraine’s cities on November 4. Civil society activists are spreading the calls to exercise pressure on the investigation so that they find the mastermind of the crime. On November 1 German Chancellor Angela Merkel visited Kyiv. It is her second official visit to Ukraine in the last four years, the previous one took place in August 2014. Merkel is a participant of international negotiations on the settlement of the situation in Donbas. During her visit in Kyiv Chancellor Merkel had a face-to-face meeting with President Poroshenko and also met representatives of the Ukrainian government and of the Parliament. Angela Merkel and Petro Poroshenko held a joint press-conference taking several questions from media representatives. Issues discussed. According to President Poroshenko they discussed the situation in Donbas and in Crimea as well as human rights in Ukraine with Chancellor Merkel. “Stopping Russian aggression was the key theme in our negotiations with the Chancellor. We have also coordinated our efforts in condemning the fake ‘elections’ in Donbas. They will not have any legal force,” President Poroshenko said. Merkel also said that the elections in the occupied part of Donbas that Russian proxies plan to hold on November 11 contradict the Minsk agreements. She said Germany has an “action plan” on Ukraine. Escalation in the Azov Sea. 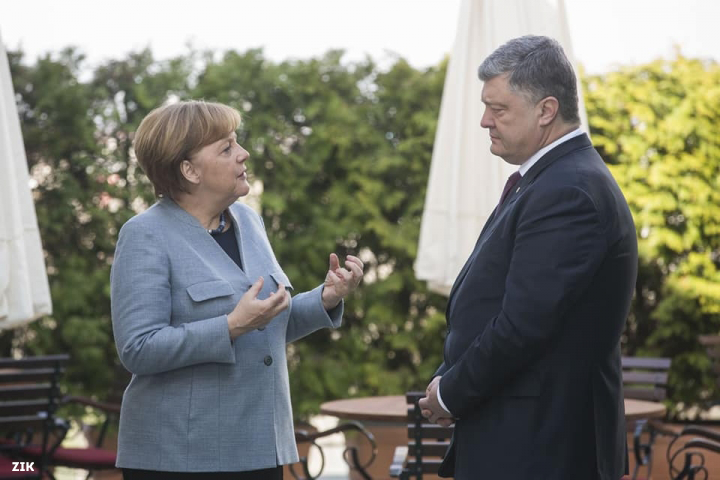 According to President Poroshenko another theme of the negotiations they had with Chancellor Merkel was the escalation threat in the waters of the Azov Sea and in the Kerch strait. “I expressed gratitude to Merkel for facilitating medical treatment and rehabilitation of Ukrainian servicemen in hospitals of the German Bundeswehr. I thanked Germany and France for the decisions they had adopted to join the UN resolution and the resolution of the UN Security Council on Crimea and the Azov Sea,” President Poroshenko said. Investment and finance. President Poroshenko and Chancellor Merkel discussed the ways to further encourage German investment in Ukraine’s economy. The President of Ukraine also reminded that Germany is the leading investor into Ukraine with some EUR 1,7 billion. It has helped create 10 thousand working places by now. President Poroshenko also welcomed the agreement signed to open local offices of the German Agency for International Cooperation (GIZ) and of the KfW development bank. It will create the legal basis for expanding financial and technical assistance to Ukraine on critically important matters. During her last visit to Ukraine Chancellor Merkel announced that the German government will disburse a half-a-billion euro loan to support the Ukrainian economy. President Poroshenko said that part of these funds will be used for the construction of the Zaporizhzhia-Mariupol road. What is going to happen to Minsk negotiations without Merkel? Answering the journalist’s question on whether the Minsk process will derail if Angela Merkel resigns, Poroshenko did not give a clear-cut answer: “I am of the opinion that we will succeed in the implementation of the Minsk agreements including in the Normandy format in which our friend President Macron takes part. The work of the US representative Volker (Kurt Volker, US Special Representative for Ukraine Negotiations – edit.) is very efficient. We feel the support from the entire international community,” Poroshenko said. 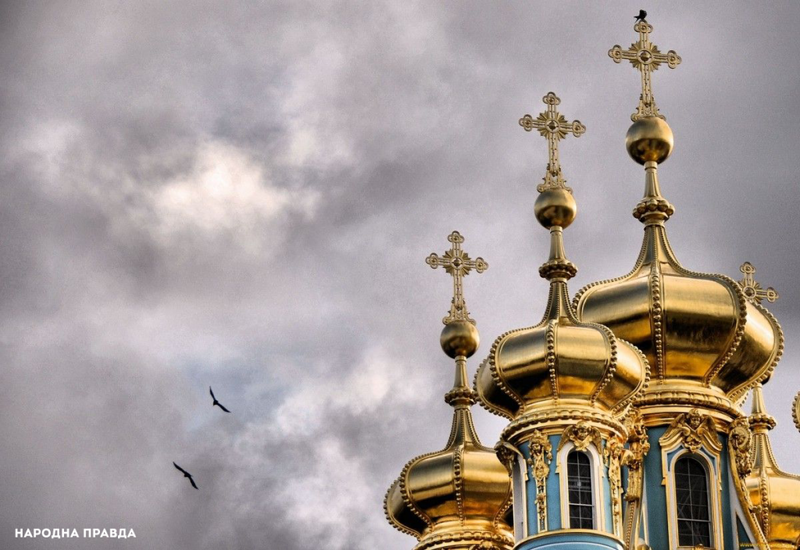 The Constantinople Patriarchate revoked the order that had the Ukrainian territory transferred into the subordination of the Russian church, so from that point the Orthodox Church of the Moscow Patriarchate ceased existing in Ukraine. The President of Ukraine Petro Poroshenko and the Ecumenical Patriarch Bartholomew signed an agreement stipulating that Ukraine will have its independent autocephalous church. Foreign Affairs Minister Pavlo Klimkin said that the transition of the Ukrainian Orthodoxy from the Russian to the worldwide Orthdoxy will become a positive development both for the international church community and for the Russian church. 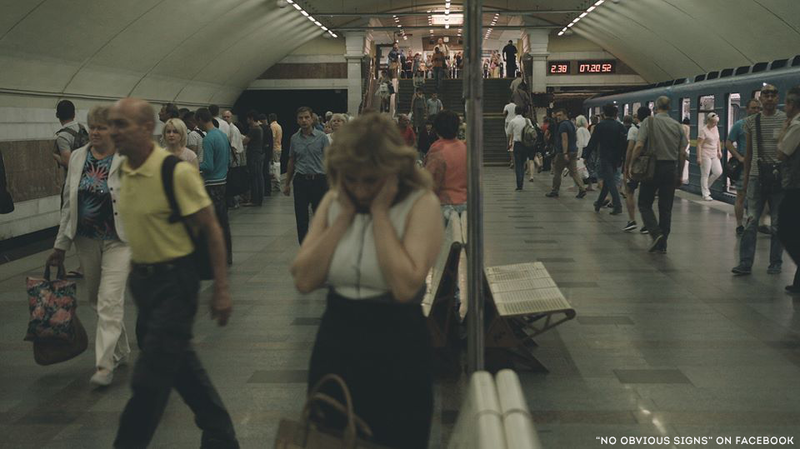 Ukrainian feature-length documentary “No Obvious Signs“ directed by Alina Horlova received the award by the German public TV channel MDR – the MDRFilmPrize at the DOK Leipzig festival in Germany. International Leipzig Festivalfor Documentary and Animated Film is one of the key festivals and industry events for documentaries in Europe. The film follows the return to peaceful life of female veteran of the war in eastern Ukraine Oksana Yakubova. Producer of the documentary is Maria Berlinska, a well-known Ukrainian female volunteer and women’s rights advocate in the army.“No Obvious Signs” had the national premiere at the Docudays UA festival in March 2018 where it scooped four awards. At the festival in Leipzig the film premiered internationally entering the international competition section. The MDR Film Prize was given “for an outstanding Eastern European documentary film”. “The film shows impressively, beyond any pathos, patriotism and propaganda, what war means existentially and, actually, for everybody who gets caught up in it,” the statement of the DOK Leipzig jury says. The film trailer is available here.